This online course is for employees of the state of Louisiana ONLY who have already successfully completed a National Association of State Boating Law Administrators (NASBLA) approved boating education course. Employees may be asked to provide proof of successful completion of a NASBLA course. 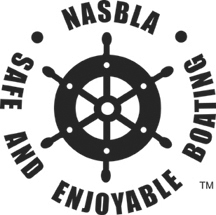 If you have not completed a NASBLA approved course, you must do so before being able to use this online boating course to meet Office of Risk Management requirements which dictates that state employees who may operate vessels must take a refresher boating course every three years as required by the Water Vessel Safety Program. COMPLETION OF THIS COURSE DOES NOT MEET THE REQUIREMENTS FOR BOATING EDUCATION AS STATED IN RS 34:851.36. Enter your full name and boater education student number below. If you do not know your number, obtain it from your supervisor before continuing. Step by step instructions for completing the course can be viewed in the READ ME file. I have read and fully understand the above disclaimer and certify that I have already successfully completed a National Association of State Boating Law Administrators (NASBLA) approved boating education course and have proof of such.